Eric von Hippel on Democratizing Innovation: An interview by Tom Austin for Gartner, Inc. Here is an excerpt from Tom Austin’s interview of Eric von Hippel during which they discuss his book, Democratizing Innovation. This seminal book — based on a broad base of academic research — explores how users have been driving the innovation process for centuries. It also discusses opportunities that organizations can avail themselves of by exploiting user-driven innovation. Gartner, Inc. (NYSE: IT) is the world’s leading information technology research and advisory company. To learn more about the firm, please click here. Austin: I enjoyed your book, Democratizing Innovation, and talked with several of my peers about it. In fact, you had corresponded with a few of them, like Nick Gall, both about the book and about your work. I found it intriguing. I was impressed by the rigor and breadth of content and felt that our clients (and anyone else who comes to our Web site. As we have agreed, this interview will be published on an open part of our site) would be intrigued by your position, because it has heavy implications for how companies might exploit innovations from their users. von Hippel: So, where would you like to start? Austin: Let’s just start with the title. It’s a teaser in a way: “Democratizing Innovation.” Bill Gates talks about democratizing software, and when he says that, he means driving the price down low enough, so that everybody can buy it from them, which, coincidently, wipes out competitors who don’t have the same market share to leverage. But I don’t think that’s what you mean when you write about democratizing innovation. von Hippel:: No, I do mean something different. I mean that the tools for high-quality innovation are getting so cheap and so ubiquitous that individuals can innovate for themselves at a steadily higher quality and at a steadily decreasing cost. Because of the Internet, it is also true that people can innovate collaboratively at a steadily lower cost. Open source software projects are a great example in the arena of information products, but the same thing is happening for hardware too. When innovation becomes democratized, many traditional assumptions about innovation and the best ways to innovate are upended. For example, the advantages that the traditional assumptions firms have in place with respect to innovation come into question. When innovation resources are cheap and well diffused, what firms ought to do is let a thousand flowers bloom, as they say, and then select the best flower. It no longer makes sense for corporate marketing researchers to go around asking passive consumers what kind of flower they would like, if only they could have it and then, after huge process efforts, decide to develop that flower for users. Austin: It’s sort of the emergent-market model versus the central-planning model? von Hippel: Yes, except it’s the emergent solution and emergent market model. What really happens is users develop solutions – and manufacturers can therefore build their new product ideas by examining user-developed solutions as well as user needs. When we trace the sources of innovation in our research, we find that users actually are the ones that typically develop the functionally new products that later become major commercial successes. The first heart-lung machine, for example, and the first skateboard as well, both were first prototyped and applied by users. When you think of it, it makes great economic sense that users would be the innovation leaders in the development of products that define new markets. Manufacturers always prefer to serve larger and more-certain markets – so who but users will be willing to be the pioneers? And as I say, user innovation is getting more and more frequent, as the cost of the investment innovating users must make to achieve their goal steadily drops. Austin: So, if you project forward 10 years from now, based on your thinking around democratizing innovation (letting a thousand solutions bloom and so forth), how’s the world going to be fundamentally different? von Hippel: Innovation activity is going to move into the user layer. Nowadays we have Microsoft developing Web server software for users – and employing tens or hundreds of engineers to do that. In contrast, in the user layer, we have a few – two or three engineers each from hundreds or thousands of user firms (and firms that supply complements like Red Hat) – contributing to the development of Apache web server software. This will be an even stronger pattern in 10 years. It’s not like engineers go away when users innovate, they simply move up into the user layer. And that’s the real competition for a firm like Microsoft. Austin: So, when I read your book, one of my emotional reactions (until I thought more deeply) was, this man is an apologist for the open-source software movement. But it turns out your research dates back 20 years before open source and 10 years before the Electronic Freedom Foundation. Why don’t you talk a little bit about how you got started in this thinking? von Hippel: Well, when I first came to MIT, ideas about how new products and services should be developed were based upon a manufacturer-centered innovation model. This model, in essence, instructs manufacturers to “find a need and fill it.” The basic idea is that it is the manufacturer’s job to accurately understand your needs, and then make the perfect product for you. In fact, this is still the standard model of the innovation process taught in business schools today, which is one reason that understanding of user-centered innovation is still at such an early stage. Before I went for my PhD, I was an inventor and participated in a start-up – and tried to rely on the manufacturer-centered innovation model as I had been taught to do. Full of confidence, I went off to talk to suppliers saying, “Here’s a need I have for a new product you do not currently make.” The uniform supplier answer was, “No, you actually don’t need what you are asking for. You need what we sell.” It was just so funny. I found this so interesting. I thought to myself, clearly the manufacturer-centered innovation model did not work in this instance. But there is such a strong belief in that model that the fan supplier thinks it did. Anyway, I brought that insight with me to MIT. I began my own research with the idea that, probably, it was really the users who were the innovators, and often not the manufacturers. That was way back in 1976, and things just built from there. I then realized that I had to join with other innovation researchers to build a big enough playground of data and concepts in the arena of user innovation to make it attractive for other people to be able to do their own work. That is, we had to generate enough findings related to user innovation, and create a robust outline of a theoretical framework, so that other people would be interested and would start to plug into it. All that took a long time, but eventually, we got here. Starting about 2000, user innovation related to the Internet, and blogs, and open-source software began to become very visible. As a result, many people began to think, oh gosh; maybe the manufacturer-centered innovation model isn’t the only way to go. Maybe innovation is really user-centered, and “user-developed content” really does matter! At that point my academic colleagues and I were in a position to offer an academic framework to help people in their early efforts to make sense of a user-centered world. Anyway, that’s my view of how things have evolved. As my colleagues can also tell you, it has been a really long slog. Wonderful colleagues who have helped are many. Some who have been very important during the past several years are Professors Dietmar Harhoff, Nikolaus Franke, Joachim Henkel, Christian Luethje and Karim Lakhani. It’s much more fun to do this kind of early work with good friends. – We can cheer each other up when our work gets dissed, as it regularly did in those days. Austin: You had a really insightful comment – one of many in your book. But the one that relates directly to this was your comment about cluster analysis, market research, market segmentation and so forth. And, if I remember correctly, I’ve gone through the same experience that you talked about there: You go out; you collect data from the market; you do the cluster analysis; you find the three, four, five clusters that seem to characterize the market; and so you come up with: “All right, so therefore, we need three, four or five products.” But you explain very clearly, I think, in your book, why that model was defective. Would you just explain that in simple terms? von Hippel: Well, that model is not necessarily defective from the manufacturer’s point of view. I mean, a mass manufacturer wants to sell a lot of the same product or service to many people. It, therefore, wants to find big clusters of reasonably homogeneous demand, maybe like the economy car buyer or whatever. Cluster analysis will show people at the center of that cluster to be perfectly satisfied with a particular solution. But then, as you move toward the edge of the cluster, people will be less and less satisfied, until finally, you reach the edge where people will switch to something else or won’t buy at all. But if enough will buy, the manufacturer is satisfied. But recall that many people in these clusters really are not happy with a standard solution, and if they can build it for themselves – which they increasingly can – that will be the option they choose. So, the clusters of “uniform” demand that mass manufacturers used to rely on are eroding, and user innovation is increasing. Probably in dollar terms, user innovation expenditures greatly outweigh total development expenditures by manufacturers. User Innovation is currently “the dark matter of innovation” in the sense that it is both tremendously large and currently largely not visible in the government statistics on innovation expenditures. Basically what happens here is the government is tracking manufacturer expenditures, but the things that the users are doing are typically not tracked, because they don’t fit the government definition of R&D. 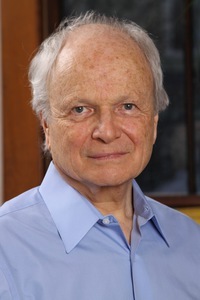 Eric von Hippel is the T. Wilson (1953) Professor in Management and a Professor of Management of Innovation and Engineering Systems at the MIT Sloan School of Management. His published works include Sources of Innovation (first published in 1988). Then in his next book, Democratizing Innovation (MIT Press, April 2005), von Hippel shows how communities of users are actually becoming such powerful innovation engines that they are increasingly driving manufacturers out of product development altogether—a pattern he documents in fields ranging from open source software to sporting equipment. This discovery has been used for a better understanding of the innovation process and for the development of new innovation processes for industry. He holds a BA in economics from Harvard College, an SM in mechanical engineering from MIT, and a PhD in business and engineering from Carnegie-Mellon University. Tom Austin, vice president, has been a Gartner Fellow since 1997. He drives Gartner’s research content incubator (the Maverick Program). Mr. Austin has been chief of research for social software, collaboration, communications, information management, business intelligence and high-performance workplace (HPW) research. Today, collaboration, social process support, cloud-based application services (such as Google vs. Microsoft) and Enterprise 2.0 are some of his specialties. His scope is broad. For example, he is leading the new People-Centered Computing Research Community, working to carve out a new, integrative Key Initiative around business strategies and technologies that enable or enhance the contribution of high-impact individuals and teams, particularly as they perform key, business-critical behaviors, such as discovery, innovation, teaming, leading, learning and relating to one another.